AccessBack.com began to receive strange xls-files – the user enters the correct password but Microsoft Excel does not accept it, and our service can’t find the encryption key for such files. What is the reason? It turned out that LibreOffice can corrupt password-protected Microsoft Excel files. This article will give you answers and solutions. The success rate is so close to absolute that we consider it 100%. To deal with other individual cases our programs offer the encryption key search option. Though it takes more time it ensures that the key gets found with a 100% guarantee. As soon as neither rainbow tables nor brute force search worked out and failed to find the encryption key we decided to overhaul the first strange file we got hold of. “ The file was created in Office 2003 and password protection was enabled. Then it was edited and updated many times in Office 2013. The data were edited many times using Office 2013. And every time the file password was accepted and everything was fine. Some of those who uploaded their files for decryption at AccessBack.com share the same story – they created and protected their files in Microsoft Excel but as soon as they edit them in LibreOffice something goes wrong and the passwords stop working. You will need a HEX editor. 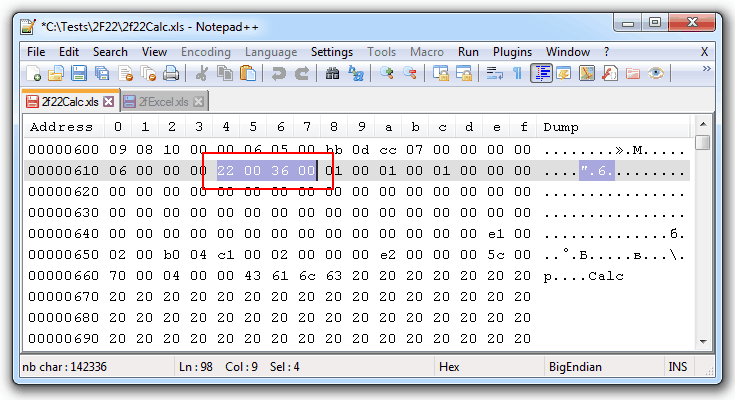 We used Notepad++ and a special plugin but we also recommend HxD editor. WARNING: Before you edit a file create a backup copy. If something goes wrong you’ll be on the safe side. 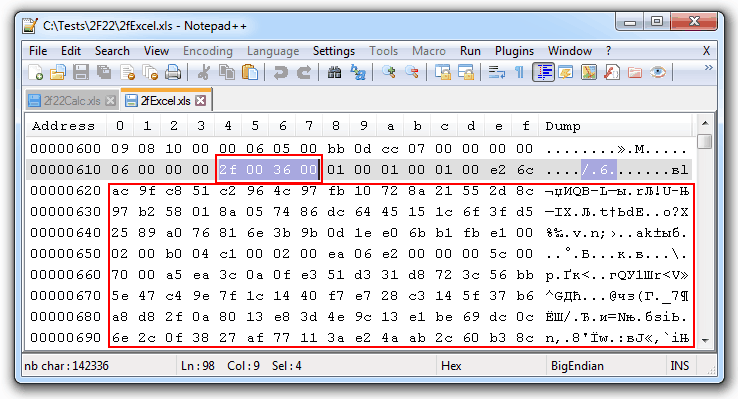 Open the file in a HEX editor and find the header of the data stream. It starts with the print 0x09081000 and is usually located at 0x600, however variations are possible (the beginning of the header is always aligned to 0x200). Go to the encryption header. It starts with the print 0x2F003600. 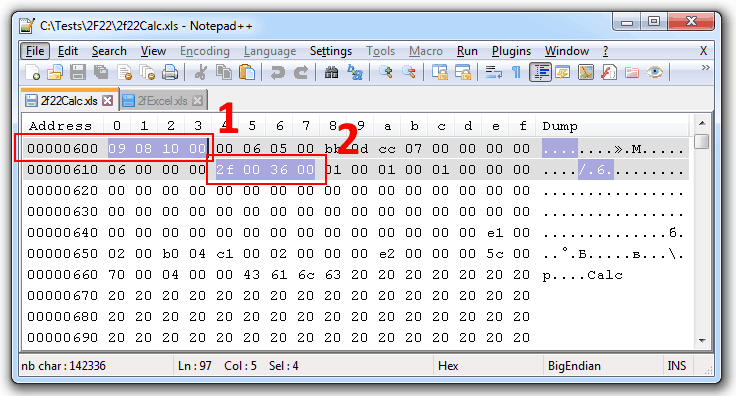 Zeros in the encryption header indicate that the data needed to decrypt the file are not specified. That means that actually the file and the data stored in it are not encrypted but password protection indicator is toggled on. Due to some internal error LibreOffice saved the password-protected file without protection but at the same time left a record indicating that protection is enabled. And you have removed that record by just editing one byte. 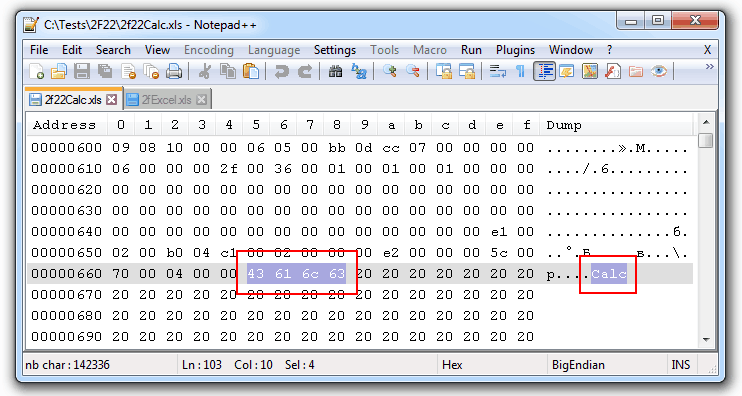 Save the changes in HEX editor and open the file in Microsoft Office or LibreOffice. You no longer need the password for this. There is no protection in the file and no password is set. 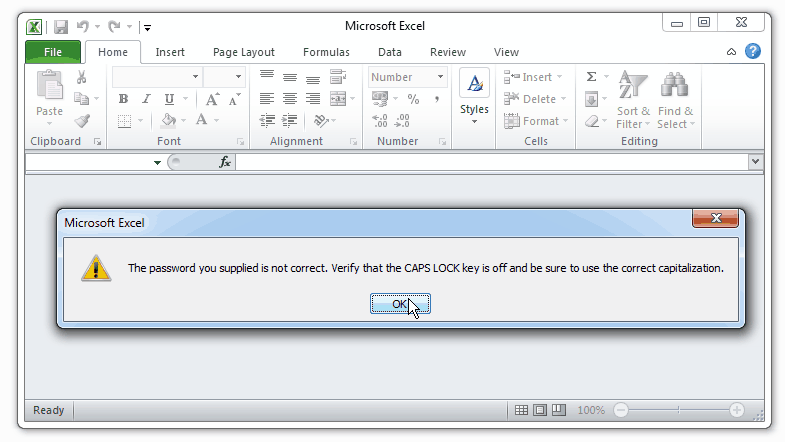 WARNING: This method does not remove the password from an encrypted Excel file! The method corrects the error that appears while saving an Excel file in LibreOffice – that is a document becomes not encrypted and a record appears indicating that password protection is being enabled. To find and delete passwords for Microsoft Excel / Word files use Accent OFFICE Password Recovery with acceleration on GPU. Will AccessBack.com send me all the data from my Excel/Word document after decryption? I’m asking about that because some data are not shown on the screenshot.